Learn to earn – as we fuse online learning, with hands-on training and real-world experience. How the heck are you supposed to get experience if you can’t get hired or get behind a bar? 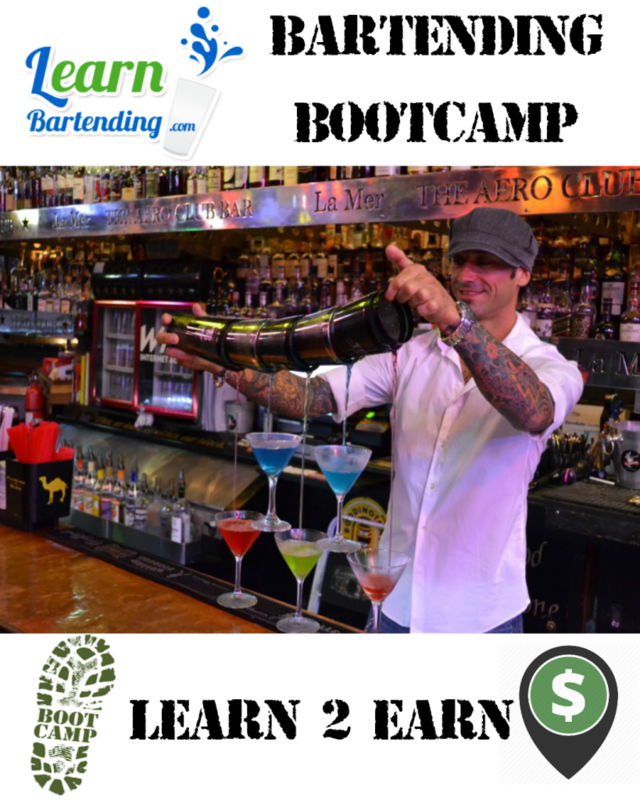 Now you can with the LearnBartending bartending boot camps. Full access to the online courses where you can watch and go thru 25 lessons with over 200 instructional bartending videos and testing. A 4hr Hands-on instructor-led training at a real bar. Here’s where things get real interesting. You will work a real shift for friends and family serving them food and drinks while they graciously tip their new favorite bartender – YOU! Our next bartending boot camp is 4/25/2019 – between 6pm and 10pm at the Barley House Cleveland on W6th st Cleveland Ohio. We limit the class size to 6 and we DO NOT take walk-ins – you must be registered prior to the camp as we need to set up your online access first. It is recommended that you go thru the online course material prior to attending the boot camp so you can have the general lay of the land and formulate any questions for your instructor at the class. just click on get tickets.